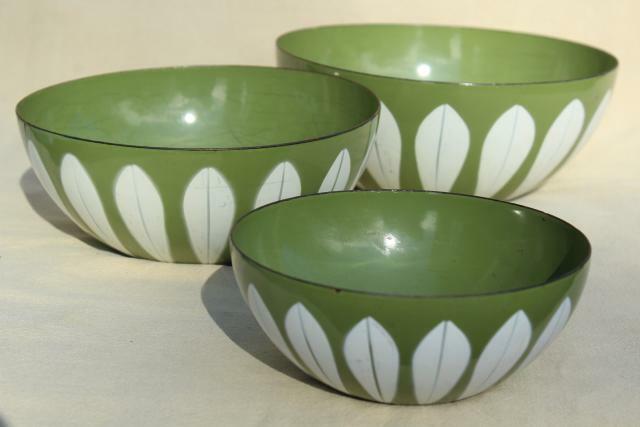 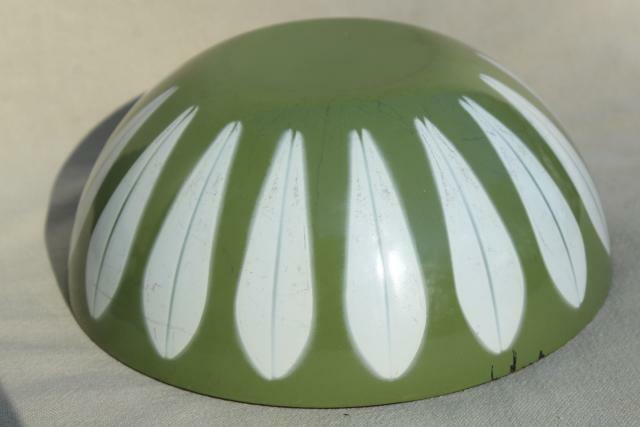 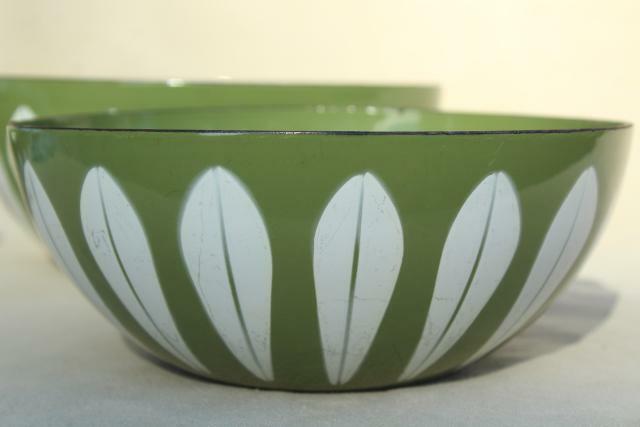 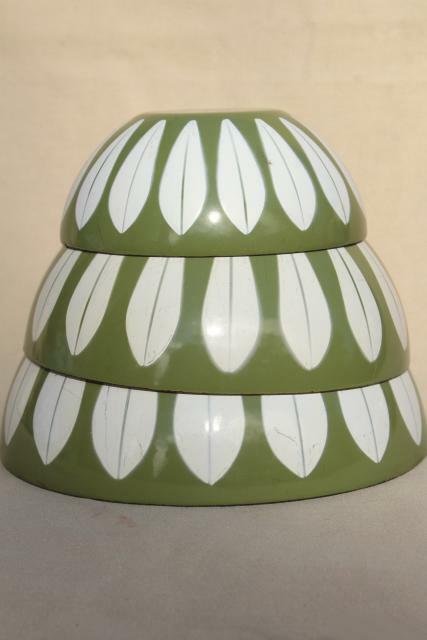 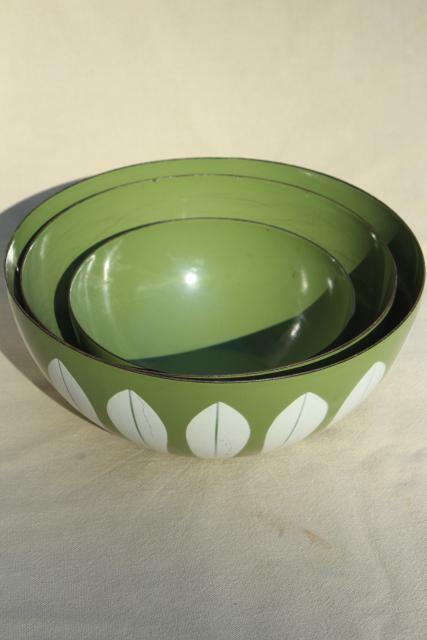 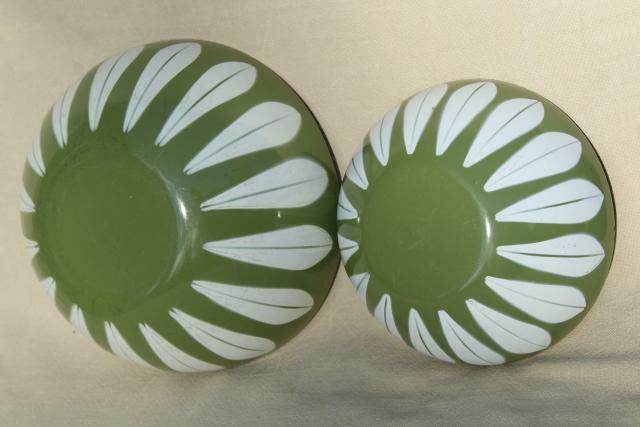 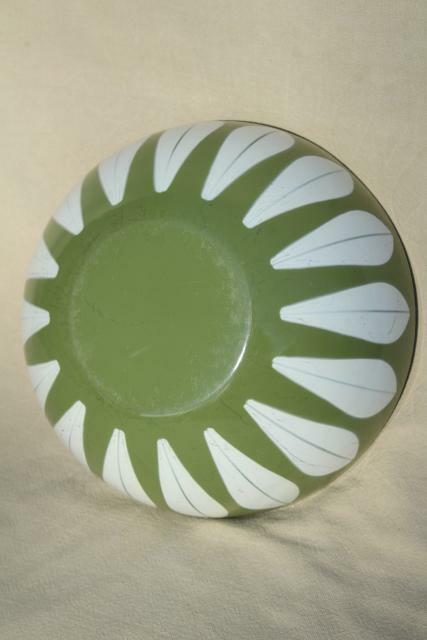 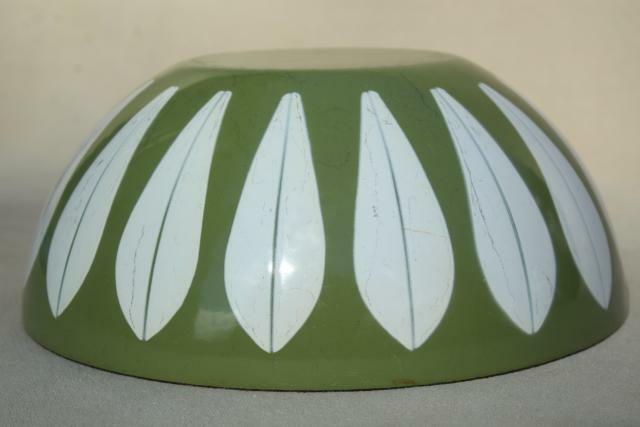 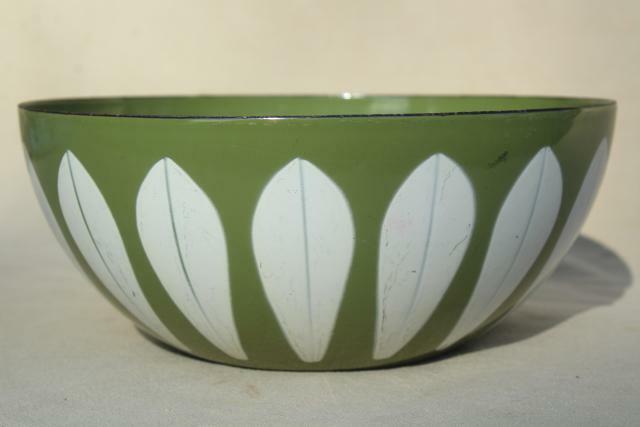 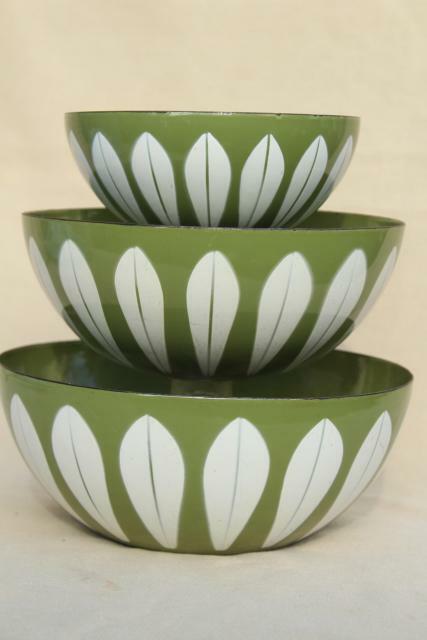 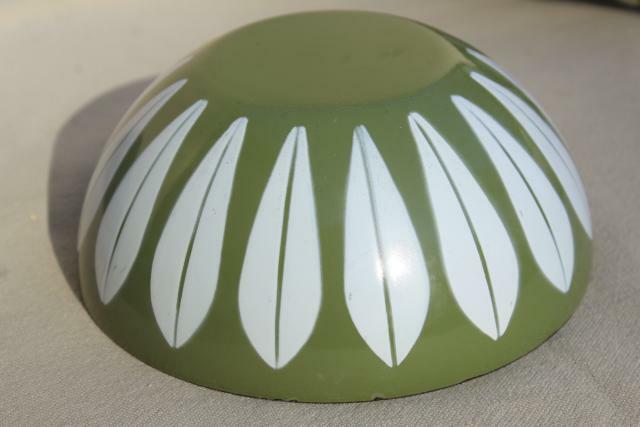 Set of three green and white lotus pattern enamel bowls, vintage Cathrineholm. 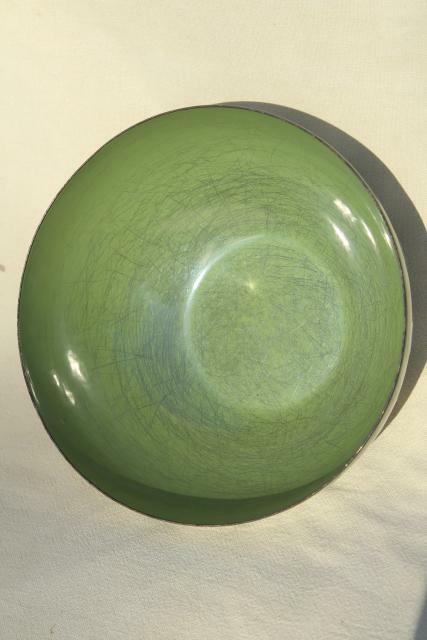 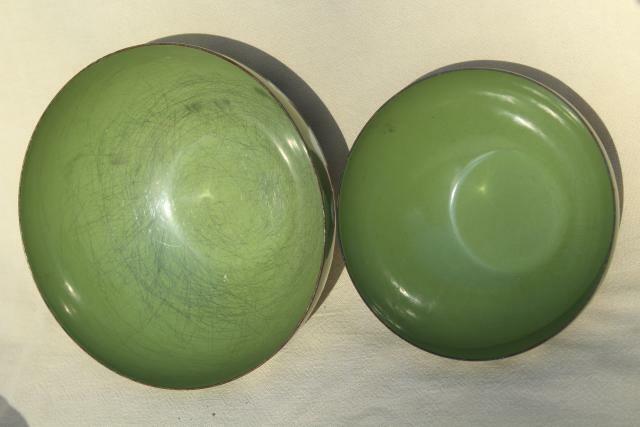 The bowls are sized about 5 1/2", 7" and 8" in diameter. 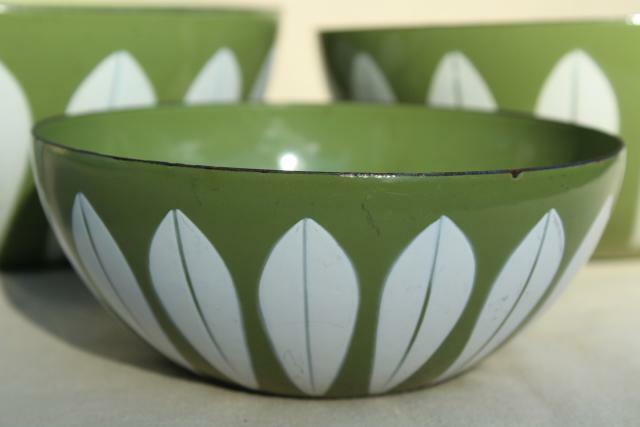 These have quite a bit of scratching / utensil marks to the interiors as you can see, but the exteriors are nice and glossy, and they display very nicely!